Rainwater Harvesting Gutter Technology: Finally, the wait is over! 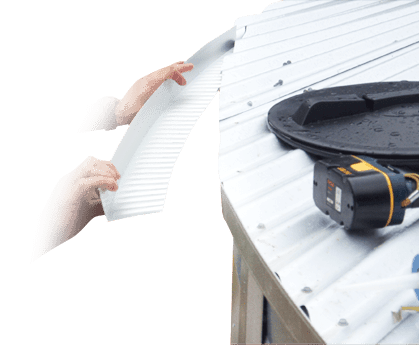 The all new Australian designed and Manufactured gutter, uses BlueScope Zincalume or Colorbond steel, and enables you to collect close to 100% of the rain off your tank roof without compromising the capacity of your tank. Heritage Water tanks Gutter System was recently recognised by the Smart Approved WaterMark Program, which is an international water efficiency scheme that certifies products and services that save water. In order to achieve recognition, the Gutter System product was scrutinised by an independent Technical Expert Panel, against the following criteria: Water Saving, Fit for Purpose, Compliance with Regulations and Standards and Environmental Sustainability. The Smart WaterMark Program is the outdoor sister scheme to the Water Efficiency Labelling and Standards scheme (WELS) and our Gutter System now stands side by side with other respected water saving products such as Hunter MP Rotator and RainBird Irrigation Controllers. With the gutter system fitted to your tank all the rain that lands on the tank roof is directly diverted into your tank via the all new patented gutter system. The circular tank gutter system can be optionally fitted onto your Heritage Water Tank when your new tank is installed. The gutter can also be fitted to all existing steel tanks with a profiled roof. This can be done easily D.I.Y, or by a plumber or tank installer. With the Gutter System installed on your water tank, you can harvest the total rain fall from the roof of your tank. Your tank will fill by the amount of rainfall that your receive. i.e. if you have 20mm of rain, the tank will fill by 20mm. Using an example of a 100,000 litre tank (7.8m diameter), in a rainfall area of 750mm per year, you will collect up to an extra 35,000 litres each year. This can equate to three tank loads of water per year. The alternative is to buy this commercially, with a potential cost in excess of $1000 per year. 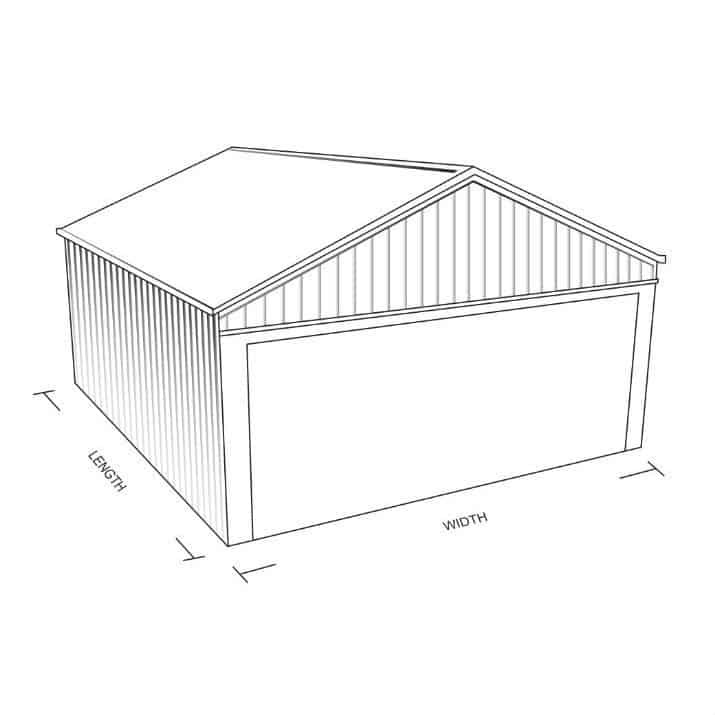 This would more than cover the one-off cost of purchasing the gutter system itself. Find out how much extra water you could with our water collecting gutter system, using our handy calculator below. The new Gutter Technology System can be supplied with an optional extra leaf guard, which is available for people who require their tank to have gutters, but have installed their tank under or near trees. 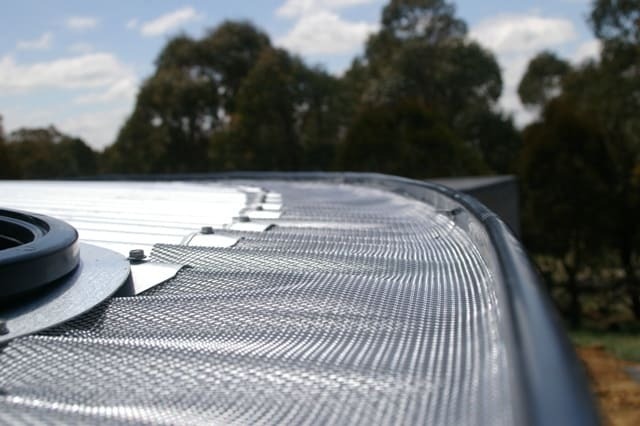 Gutter Guard is an Aluminium Mesh designed to cover the tank from the corrugation and over the gutter system. All water must pass through the mesh to be able to enter the tank. Not only will the Gutter Guard help stop leaf matter from entering the tank, it also ‘vermin proof’, making it one of the best options available in the tank market.